This week brought with it plenty of beautiful weather, so much so, it felt like an extension of summer. The fall season has been so nice we have been able to do a few things we had previously imagined being done when snow was on the ground. For most of the summer our days and weeks felt rushed as we tried to get everything finished. My husband and I were grateful for a little more work time with sunshine and warm temperatures. Quonset organization was at the top of our list this past week. While we are slowly bringing boxes into the house, with so much of the space being unfinished we hardly have room for all of our belongings. To keep them safe, preferably mouse and moisture free, we sorted and placed everything onto wood pallets. With the pallet jack, it’s now easy to move things as needed and each pallet can be stored more compactly in a smaller area. This was a crucial job as the Quonset will also serve as our garage and will need to fit 3 vehicles at all times. With the nice weather we were also able to complete a few smaller jobs. 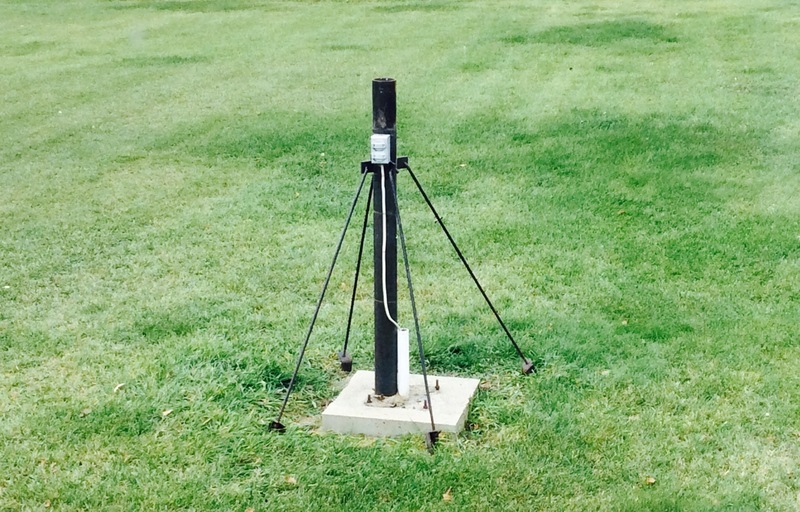 Summer lawn care equipment was pressure washed and winterized. The generator gassed and readied. 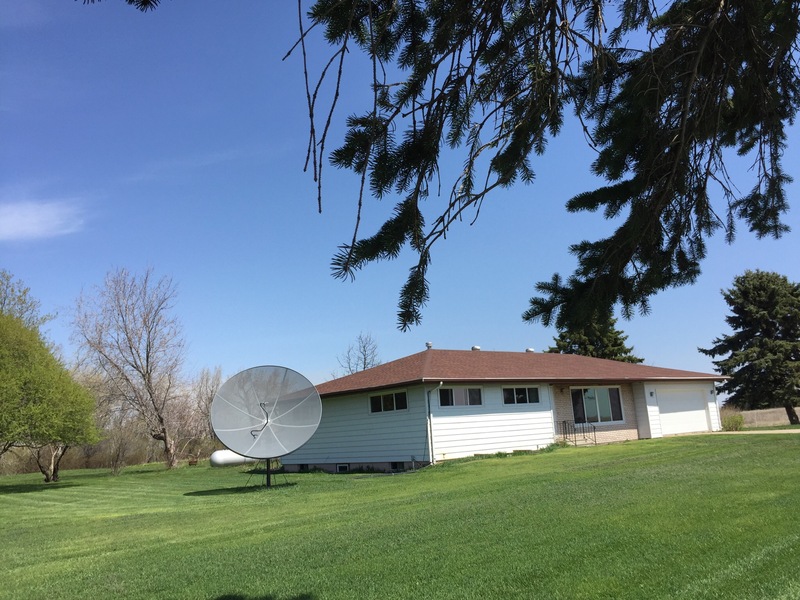 Our ginormous 1980’s satellite dish was removed and the base left in place to be utilized for a lighted flag pole (eventually). Various unused cables were also removed from the house and the resulting holes caulked and readied for winter. Diseased tree limbs were cut, bushes trimmed back and the dog kennel moved to its winter resting place near the chicken coop. 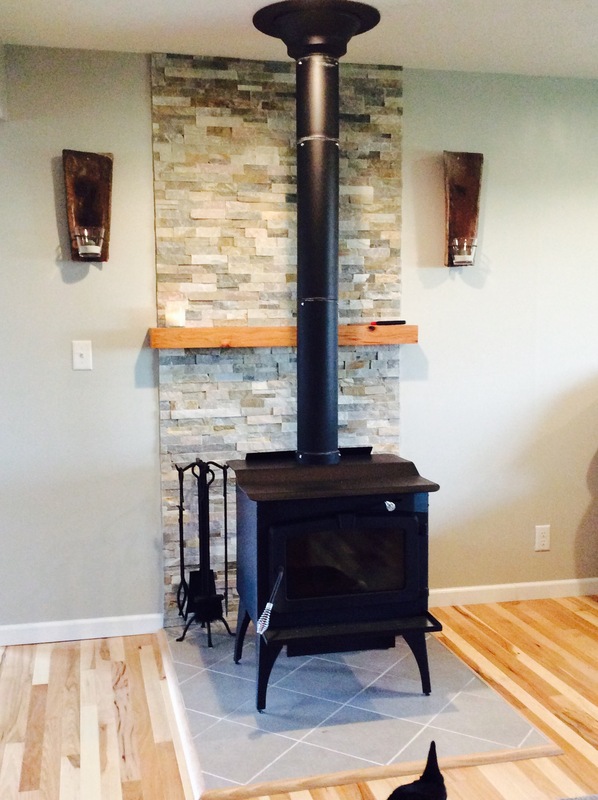 Inside, the stone back wall to the wood stove was finished thanks to my husband’s diligent work. The stone wall adds protection from heat as well as color and texture to an otherwise bland wall. It is very similar to the hearth wall we created in our previous home. We loved the quartz ledge stone so much we couldn’t resist putting it in this home. With a little decoration the wood stove, even in its small scale, feels just as grand as an established fireplace with mantle. 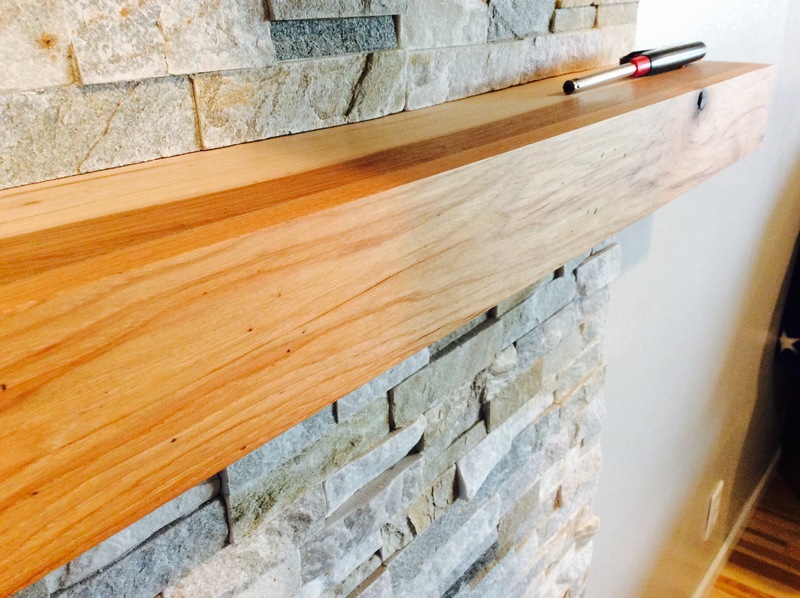 The mantle shelf itself was constructed from hickory board and a few left over pieces of hickory flooring. This gave the back wall a little warmth with the same wood tones as the floor and it will serve as a functional shelf to hold fire starters and decor. It’s a far cry from our first attempt using reclaimed wood but it suits this home well. We also removed an ancient bathroom ventilation fan that was in dire need of replacement. It worked when we first bought the house but through daily use the old fixture eventually developed electrical issues due to its age. 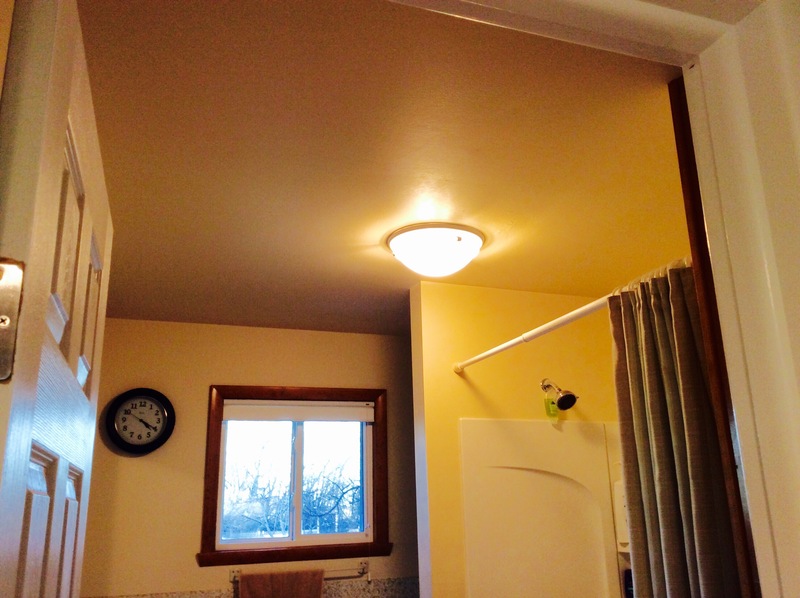 While we haven’t been able to remodel this bathroom yet, we installed the new fan for safety reasons. The bonus? The lighting is a little better in the space…’little’ being the key word. As the weather cools the animals are also getting ready for winter…whether they realize it or not. We didn’t go through a huge molting season but that doesn’t surprise me for as warm as it has been. The coop and covered pen have been prepped to provide them shelter from the brutal winter weather including the crazy wind we experience here in North Dakota. Egg laying is still in full swing heading into middle of autumn and we couldn’t be more pleased. It appears all 8 of our hens are starting to lay daily, the 4 ducks seem to be laying every other day or so. 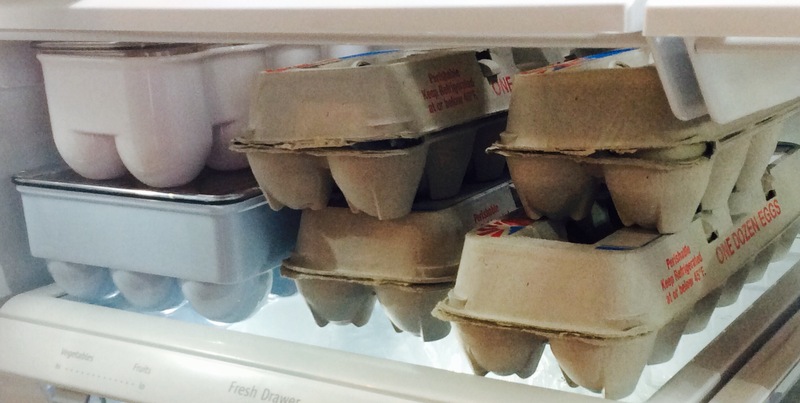 With our fridge quickly filling up, our friends are enjoying the fruits of our labor as much as we are! As the forecast calls for snow, my focus will shift to the upcoming holidays. Thanksgiving will soon be upon us with the following month ringing in the Christmas season. I told my husband I just want Santa to bring me an incubator this year. I have a feeling our gifts will be paired back and will reflect the future necessities of our new farm.